Davey Hughes – aka the Swazi Man – is many things, but one thing he’s most certainly not is conventional. 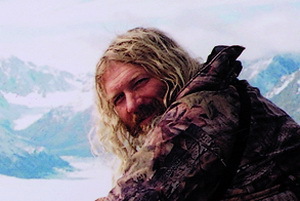 Davey’s hunted Caribou in the Arctic Circle, grizzlies in Alaska and buffalo in Tanzania. He’s the bane of Customs officials’ lives, runs the gruelling Coast to Coast each year, and is the man behind the highly-successful Swazi outdoor clothing label; he's a passionate conservationist, not only supporting work within New Zealand’s shores, but also aiding global projects such as his commitment to save the Siberian Tiger and address elephant poaching in Africa. The Swazi adventure began in October 1994. A trapper by trade, Davey Hughes and his wife Maggie started the company after a crash in the skin market. Together Davey and Maggie set out to build a company to design and make clothing that would keep people dry and warm. Durable. Practical and affordable clothing. Now, Swazi has become much more than a clothing company. 19 years on it is a company with huge respect around the globe, not only for apparel, but also for its stand on environmental issues, social justice and promotion of adventure. The Swazi promise is to continue to produce innovative and practical Agricultural, Hunting and Outdoor Leisure clothing. Hand in hand with this assurance Swazi also undertakes to make the voice of the outdoors heard. To promote adventure, hunting and a sense of responsibility among young people. As a speaker, Davey sure knows how to spin a yarn or two, with his best selling book “Untamed” featuring in the top five non-fiction NZ Authors list for the past 24 months. An ardent fan of making his world-class apparel in New Zealand he explains that for his staff it’s about the self esteem, self respect and the feeling one is participating in something beautifully meaningful that remain the main drivers behind Swazi staying onshore.